Groff, L.A., C.S. Loftin, and A.J.K Calhoun. LITHOBATES SYLVATICUS (Wood Frog). HIBERNATION. Weaver, D.M., T.J. Kwak, and K.H. Pollock. 2014. Sampling characteristics and calibration of snorkel counts to estimate stream fish populations. North American Journal of Fisheries Management 34:1159-1166. Ryan, K., Calhoun, A., Timm, B. and Zydlewski, J. (2014) Monitoring Eastern Spadefoot (Scaphiopus holbrookii) activity using a passive integrated transponder (PIT) system and the effects of selected meteorological variables on burrow emergence. Journal of Herpetology (on line ahead of print). Grote, A., Bailey, M., and Zydlewski, J. (2014) Migration and spawning behavior of American shad in the Penobscot River Maine. Transactions of the American Fisheries Society 143:552-563. Weaver, D.M. and T.J. Kwak. 2013. Assessing effects of stocked trout on nongame fish assemblages in southern Appalachian Mountain streams. Transactions of the American Fisheries Society 142: 1495-1507. McKinney, S. T., T. Rodhouse, L. Chow, G. Dicus, L. Garrett, K. Irvine, D. Sarr, and L. A. H. Starcevich. 2012. Monitoring white pine (Pinus albicaulis, P. balfouriana, P. flexilis) community dynamics in the Pacific West Region: Klamath, Sierra Nevada, and Upper Columbia Basin Networks. Natural Resource Report NPS/PWR/NRR—2012/532. National Park Service, Fort Collins, Colorado. Danielson, T.J., C.S. Loftin, L. Tsomides, J.L. DiFranco, B. Connors, D.L. Courtemanch, F. Drummond, and S.P. Davies. 2012. An algal model for predicting attainment of tiered biological criteria of Maine’s streams and rivers. Freshwater Science 31:318-340. Potential Range Expansion Following Barrier Removal. Northeastern Naturalist 19(X):00-00. Zydlewski, G., Kinnison, M., Dionne, P., Zydlewski, J., and Wippelhauser, G. (2011) Understanding habitat connectivity for shortnose sturgeon: the importance of small coastal rivers. Journal of Applied Ichthyology. 47 (Suppl. 1): 1-4. Ostrand, K., G. Zydlewski, W. Gale, J. Zydlewski (2011) Long Term Retention, Survival, Growth, and Physiological Indicators of Salmonids Marked with Passive Integrated Transponder Tags.In J. McKenzie, Q. Phelps, R. Kopf, M. Mesa, B. Parsons, and A. Seitz, editors. Advances in fish tagging and marking technology. American Fisheries Society, Symposium 76, Bethesda, Maryland. McKinney, S. T., C. E. Fiedler, and D. F. Tomback. 2011. Altered species interactions and implications for natural regeneration in whitebark pine communities. In R. E. Keane, D. F. Tomback, M. P. Murray, and C. M. Smith (eds.). The future of high-elevation, five-needle white pines in Western North America: Proceedings of the High Five Symposium. Proceedings RMRS-P-63. Fort Collins, CO. U.S.D.A., Forest Service, Rocky Mountain Research Station. 376 pp. McKinney, S. T., T. Rodhouse, L. Chow, P. Latham, L. Garrett, D. Sarr, and L. Mutch. 2011. Long-term monitoring of high-elevation white pine communities in Pacific West Region National Parks. In R. E. Keane, D. F. Tomback, M. P. Murray, and C. M. Smith (eds.). The future of high-elevation, five-needle white pines in Western North America: Proceedings of the High Five Symposium. Proceedings RMRS-P-63. Fort Collins, CO. U.S.D.A., Forest Service, Rocky Mountain Research Station. 376 pp. McKinney, S. T., and D. F. Tomback. 2011. Altered community dynamics in Rocky Mountain whitebark pine forests and the potential for accelerating declines. In: Kevin E. Richards (Ed. ), Mountain Ecosystems: Dynamics, Management and Conservation. Nova Publishers, Inc., New York. Krohn, W. B., and C. L. Hoving. 2010. Early Maine wildlife - historical accounts of Canada lynx, moose, mountain lion, white-tailed deer, wolverine, wolves, and woodland caribou, 1603-1930. University of Maine Press, Orono. 523 pp. plus i-x (& 50 illustrations). Spencer, R.C., J. Zydlewski and G. Zydlewski. (2010) Migratory urge and gill Na+, K+ -ATPase activity of hatchery Atlantic salmon (Salmo salar) smolts from Dennys and Penobscot River stocks in Maine. Transactions of the American Fisheries Society. 139:947-956. Johnson, J., Baumsteiger, J., Zydlewski, J., Hudson, M. and W. Ardren (2010) Evidence of Panmixia between Sympatric Life History Forms of Coastal Cutthroat Trout in Two Lower Columbia River Tributaries. North American Journal of Fisheries Management 30:691–701. Schilling, E. G., C. S. Loftin, and A. D. Huryn. 2009. Effects of introduced fish on native macroinvertebrates in two types of historically fishless lakes. Biological Conservation 142:3030-3038. Jackson, C. and J. Zydlewski (2009) Summer movements of sub-adult brook trout, landlocked Atlantic salmon and smallmouth bass in the Rapid River, Maine. Journal of Freshwater Ecology. 24(4) 567-580. Hunter, M., Burns, C., P. deMaynadier, L. Incze, W. Krohn, P. Vaux, and B. Vickery. 2009. Biodiversity, Pages 30-34 in G. L. Jacobson, I. J. Fernandez, P. A. Mayewski, and C. V. Schmitt (editors). Maine’s Climate Future: An Initial Assessment. A Report for the Governor of Maine. University of Maine, Orono, 70 pp. Schilling, E. G., C. S. Loftin, and A. D. Huryn. 2009. Macroinvertebrates as indicators of fish absence in naturally fishless lakes. Freshwater Biology 54:181-202. Krohn, W. B., and R. B. Owen, Jr. 2008. Malcolm W. Coulter (1920-2008) [obituary]. The Maine Wildlifer, 33(2): 7-9. [Also published on pages 6 and 7 of the 2008 fall issue of the newsletter of the Northeast Section of The Wildlife Society (TWS), and on the web site of the international TWS]. Schilling, E. G., C. S. Loftin, K. E. DeGoosh, A. D. Huryn, and K. E. Webster. 2008. Predicting the historical distributions of naturally fishless lakes. Freshwater Biology 53:1021-1035. Bahn, V., W. B. Krohn, and R. J. O'Connor. 2008. Dispersal leads to spatial autocorrelation: a simulation model. Ecological Modelling 213: 285-292. Nelson, S. J., K. B. Johnson, K. C. Weathers, C. S. Loftin, I. J. Fernandez, J. S. Kahl, D. P. Krabbenhoft. 2008.Deposition, re-emission, and evasion: Mercury mass fluxes in winter at Acadia National Park, Maine, USA, Applied Geochemistry 23:384-398. Crocker, J. C., M. S. Bank, C. S. Loftin and R. E. Jung. 2007. Effects of observer bias and stream flow on lotic salamander population abundance sampling. Journal of Herpetology 41(2):325-329. J. Kurth, C. Loftin, J. Zydlewski and J. Rhymer. 2007. PIT tag effectiveness for freshwater mussel recaptures. Journal of the North American Benthological Society 26:253-260. Homyack, J. A., D. J. Harrison, and W. B. Krohn. 2007. Effects of precommercial thinning on snowshoe hares in Maine. Journal of Wildlife Management, 71 (1): 4-13. Bank, M. S., J. R. Burgess, D. C. Evers and C. S. Loftin. 2007. Mercury contamination of biota from Acadia National Park, Maine, USA: a review. Invited Paper, Environmental Monitoring and Assessment, Special Issue on Acadia National Park Mercury Biogeochemistry, 126(1-3): 105-115. Hierl, L., C. S. Loftin, J. R. Longcore, D. G. McAuley, and D. Urban. 2007. A Multivariate Assessment of Changes in Wetland Habitat Conditions for Waterbirds at Moosehorn National Wildlife Refuge, Maine, USA. Wetlands 27(1): 141-152. Krohn, W. B., and M. R. Massaro. 2006. Fur into feathers: Manly Hardy and his collection of North American birds. Pages 117-133 IN P. Benes (editor), Preceedings of the 2004 Dublin Seminar on New England collectors and Collections. Boston, College, Boston, MA. 224pp. Chalmers, R. J., and C. S. Loftin. 2006. Wetland and shoreline habitat used by nesting four-toed salamanders (Hemidactylium scutatum) in Maine. Journal of Herpetology 40(4):478-485. Bahn, V., R. J. O'Connor, and W. B. Krohn. 2006. Importance of spatial autocorrelation in modeling bird distributions at a continental scale. Ecography, 29 (6): 835-844. Bahn, V., R. J. O'Connor, and W. B. Krohn. 2006. Effect of dispersal at range edges on the structure of species ranges. Oikos, 115 (1): 89-96. Chalmers, R. J., and C. S. Loftin. 2006. HEMIDACTYLIUM SCUTATUM (Four-toed Salamander). MORPHOLOGY/PHENOLOGY. Herpetological Review 37(1):69-71. Homyack, J. A., D. J. Harrison, J. A. Litvaitis, and W. B. Krohn. 2006. Quantifying densities of snowshoe hares in Maine using pellet plots. Wildlife Society Bulletin, 34 (1): 74-80. Krohn, W. B. 2005. A fall fur-hunt from Maine to New Brunswick, Canada: the 1858 journal of Manly Hardy. Northeastern Naturalist, 12 (4): 509-541. Frost, H. C., and W. B. Krohn, E. A. Bezembluk, R. Lott, and C. R. Wallace. 2005. Prenatal development in fishers (MARTES PENNANTI). Theriogenology, 63(5): 1440-1453. Homyack, J. A., D. J. Harrison, and W. B. Krohn. 2005. Long-term effects of precommercial thinning on small mammals in northern Maine. Forest Ecology and Management, 205: 43-57. Hoving, C. L., D. J. Harrison, W. B. Krohn, R. A. Joseph, and M. O'Brien. 2005. Broad-scale predictors of Canada lynx occurrence in eastern North America. Journal of Wildlife Management, 69(2): 739-751. Frost, H., and W. Krohn. 2004. Chapter 13 - Postnatal growth and development in fishers. Pages 254-263 IN D. J. Harrison, A. K. Fuller, and G. Proulx (editors). Martens and fishers (MARTES) in human altered environments: an international perspective. Springer, New York, NY. 279 pp. Krohn, W., C. Hoving, D. Harrison, D. Phillips, and H. Frost. 2004. Chapter 5 - MARTES foot-loading and snowfall distribution in eastern North America: implications to broad-scale distributions and interactions of mesocarnivores. Pages 115-131 IN D. J. Harrison, A. K. Fuller, and G. Proulx (editors). Martens and fishers (MARTES) in human altered environments: an international perspective. Springer, New York, NY. 279 pp. Prolux, G., K. Aubry, J. Birks, S. Buskirk, C. Fortin, H. Frost, W. Krohn, L. Mayo, V. Monakhov, D. Payer, M. Saeki, M. Santos-Reis, R. Weir, and W. Zielinski. 2004. Chapter 2 - World distribution and status of the genus MARTES in 2000. Pages 21-76 IN D. J. Harrison, A. K. Fuller, and G. Proulx (editors). Martens and fishers (MARTES) in human altered environments: an international perspective. Springer, New York, NY. 279 pp. Homyack, J. A., D. J. Harrison, and W. B. Krohn. 2004. Structural differences between precommercially thinned and unthinned conifer stands. Forest Ecology and Management, 194 (1-3): 131-143. Bank, M. S., C. S. Loftin, and R. E. Jung. 2005. Mercury bioacculumation in Two-lined salamanders from streams in the Northeastern United States. Ecotoxicology 14:181-191. Hoving, C. L., R. A. Joseph, and W. B. Krohn. 2003. Recent and historical occurrences of Canada lynx in Maine and the Northeast. Northeastern Naturalist, 10 (4): 363-382. Krohn, W. B. (compiler and editor). 2005. Manly Hardy (1832-1910): the life and writing of a Maine fur-buyer, hunter, and naturalist. Northeast Folklore, Vol. 38, University of Maine, Orono, ME. 343pp. Krohn, W. B., R. L. Dressler, and G. M. Stadler. 2002. Successful integration of GAP databases into town planning: the Maine experience. Pages 48-50 IN GAP Analysis Bulletin No. 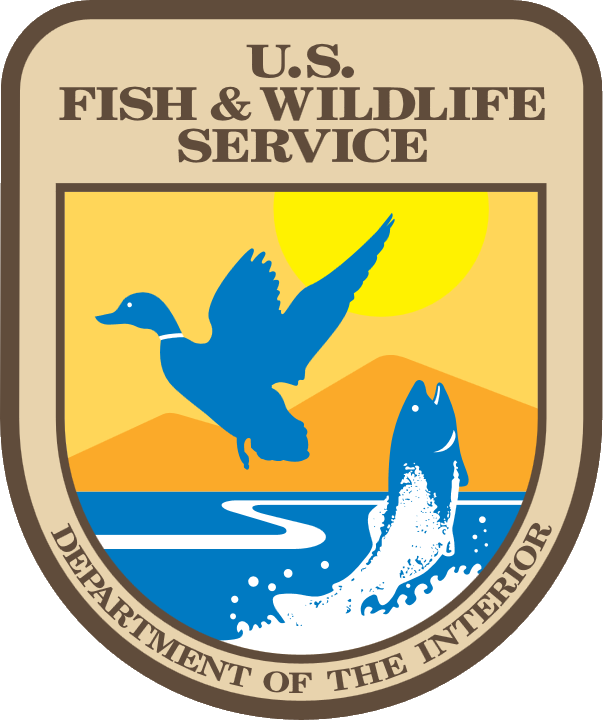 11, USGS Biological Resources Division, Moscow, ID. 88 pp. Dunham, K. A., J. Stone, and J. R. Moring. 2002. Does electric fishing influence movements of fishes in streams ? Experiments with brook trout, SALVELINUS FONTINALIS. Fisheries Management and Ecology, 9: 249-251. Ahn, S., W. B. Krohn, A. J. Plantinga, T. J. Dalton, and J. A. Hepinstall. 2002. Agricultural land change in Maine: a compilation and brief analysis of Census of Agriculture data, 1850-1977. Maine Agricultural and Forest Experiment Station, Technical Bulletin 182, University of Maine, Orono. 31 pp. Boone, R. B., and W. B. Krohn. 2002. Introduction to Part 3 - Modeling tools and accuracy assessment. Pages 265-270 IN Scott, J. M., P. J. Heglund, M. Morrison, J. B. Haufler, M. G. Raphael, W. A. Wall, and F. B. Samson (editors). Predicting species occurrences: issues of scale and accuracy. Island Press, Corvalis, OR. 868 [invited contribution]. Hepinstall, J. A., S. A. Sader, and W. B. Krohn. 2002. Chapter 53 - Effects of niche width on the performance and agreement of avian habitat models. Pages 593-606 IN Scott, J. M., P. J. Heglund, M. Morrison, J. B. Haufler, M. G. Raphael, W. A. Wall, and F. B. Samson (editors). Predicting species occurrences: issues of scale and accuracy. Island Press, Corvalis, OR. 868 pp. Johnson, C. M., and W. B. Krohn. 2002. Chapter 13 - Dynamic patterns of association between environmental factors and island use by breeding seabirds. Pages 171-182 IN Scott, J. M., P. J. Heglund, M. Morrison, J. B. Haufler, M. G. Raphael, W. A. Wall, and F. B. Samson (editors). Predicting species occurrences: issues of scale and accuracy. Island Press, Corvalis, OR. 868 pp. Schaefer, S. M., and W. B. Krohn. 2002. Chapter 37 - Testing predicted vertebrate occurrences from habitat associations: improving the interpretation of commission error rates. Pages 419-428 IN Scott, J. M., P. J. Heglund, M. Morrison, J. B. Haufler, M. G. Raphael, W. A. Wall, and F. B. Samson (editors). Predicting species occurrences: issues of scale and accuracy. Island Press, Corvalis, OR. 868 pp. Johnson, C. M., and W. B. Krohn. 2001. Monitoring nesting seabirds: reply to a commentary by Ian C. T. Nisbet. Waterbirds, 24(3): 461-466. Moring, John R. Intertidal growth of larval and juvenile lumpfish: a 20-year assessment. Northeastern Naturalist, 8(3): 347-354. Johnson, C. M., and W. K. Krohn. 2001. The importance of survey timing in monitoring seabird populations. Waterbirds, 24(1):22-33. Loftin, C. S., N. Ansay, and W. M. Kitchens. 2001. Development and application of a spatial hydrology model of Okefenokee Swamp, Georgia. Journal of the American Water Resources Association 37(4):935-956. Moring, John R. 2001. Appearance and possible homing of two species of sculpins from Maine tidepools. Northeastern Naturalist 8(2): 207-218. Moring, John R. 1999 (issued in 2001). Cruises of the Albatross off San Diego and other parts of southern California, 1889-1916. Marine Fisheries Review 61(4): 22-30. Loftin, C. S., S. B. Aicher, and W. M. Kitchens. 2000. Effects of the Suwannee River sill on the hydrology of Okefenokee Swamp: Application of research results in the environmental assessment procedure. Pages 102-110 in S. F. McCool, D. N. Cole, W. T. Borrie, and J. O'Loughlin, eds., Proceedings of the 1999 National Wilderness Research Conference, USDA Forest Service, Rocky Mountain Research Station, Ogden, UT. OMRS-P-15-Vol 3. Boone, R. B., and W. B. Krohn. 2000. Particitioning sources of variation in vertebrate species richness. Journal of Biogeography 27:457-470. Boone, R. B., and W. B. Krohn. 2000. Predicting broad-scale occurrences of vertebrates in patchy environments. Landscape Ecology 15(1): 63-74. Boone, R. B., and W. B. Krohn. 2000. The vegetation transition zone and bird ranges in Maine. Journal of Biogeography 27:471-482. Loftin, C. S., W. Rasberry, and W. M. Kitchens. 2000. Development of a grid-cell topographic surface for Okefenokee Swamp, Georgia. Wetlands 20:487-499. Lamothe, P. J., M. Gallagher, D. P. Chivers, and J. R. Moring. 2000. Homing and movements of yellow phase American eels in freshwater ponds. Environmental Biology of Fishes 58: 393-399. Moring, J. R. 2000. The creation of the first public salmon hatchery in the United States. Fisheries 25(2): 6-12. Hepinstall, J. A., S. A. Sader, W. B. Krohn, R. B. Boone, and R. I. Bartlett. 1999. Development and testing of a vegetation and land cover map of Maine. Maine Agricultural and Forest Experiment Station, Technical Bulletin 173, University of Maine, Orono. 104 pp. Loftin, CS. 1997. The hydrology of Okefenokee Swamp, Pages 266-269 in KJ Hatcher, ed., Proceedings of the 1997 Georgia Water Resources Conference, 20-22 March 1997, The University of Georgia, Athens.